It's time for SRC again! 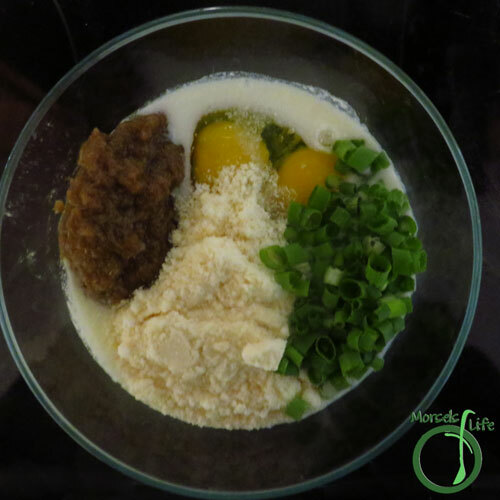 Ech month, we're assigned another blog to select a recipe from, and this month, I got Flavors by Four, a mother-daughter blogging team, sharing recipes from their families. 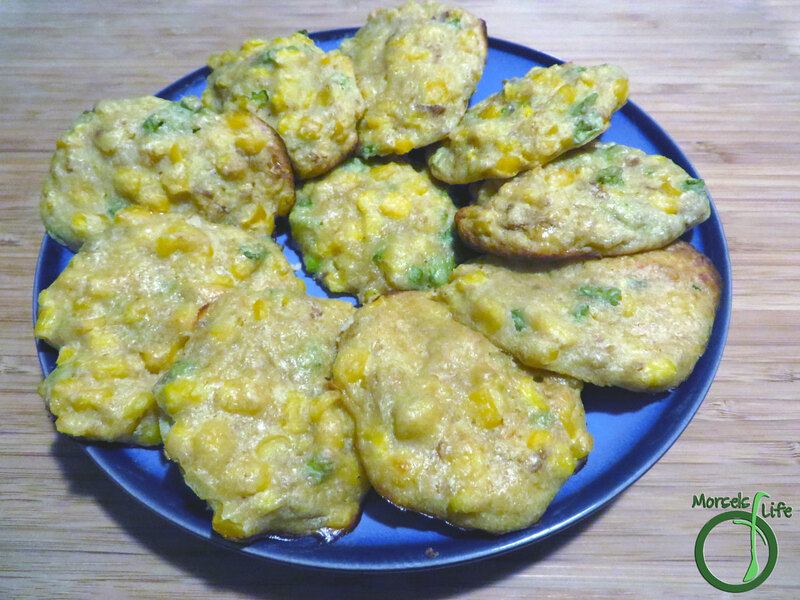 This month, I chose to make Baked Corn Fritters, a recipe by Nicole. I'd made corn fritters before, but I wanted to try a baked version. In addition, I thought the corn flour would add in some nice texture and liked how Nicole incorporated some additional flavors. I followed her recipe with just some minor changes - using whole milk instead of skim, caramelized onions instead of diced, and green onions instead of chives. Next time, I'd likely use more corn meal since we liked the texture. I'm also thinking about increasing the amount of caramelized onions. 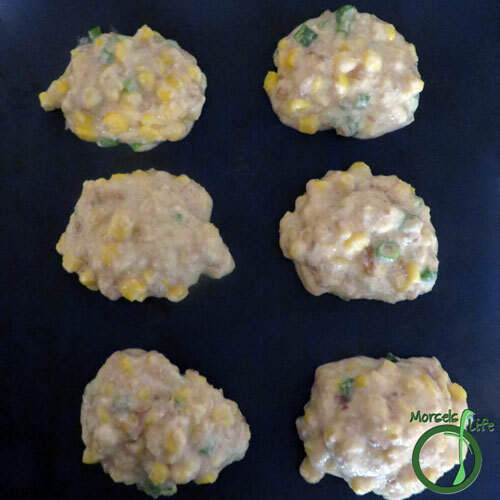 The amounts called for would probably provide enough flavor if I had used diced, but with the caramelized onions, some additional onion flavor would make these yummy corn fritters even tastier. We also liked the flavor from the Parmesan cheese, and next time, maybe we'd use more or also add in some cheddar. 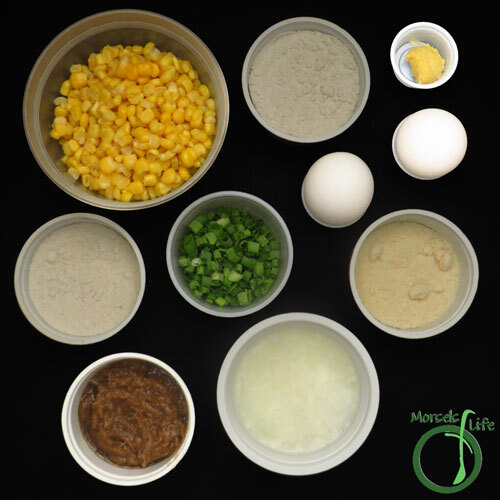 What do you like to add to your corn fritters? 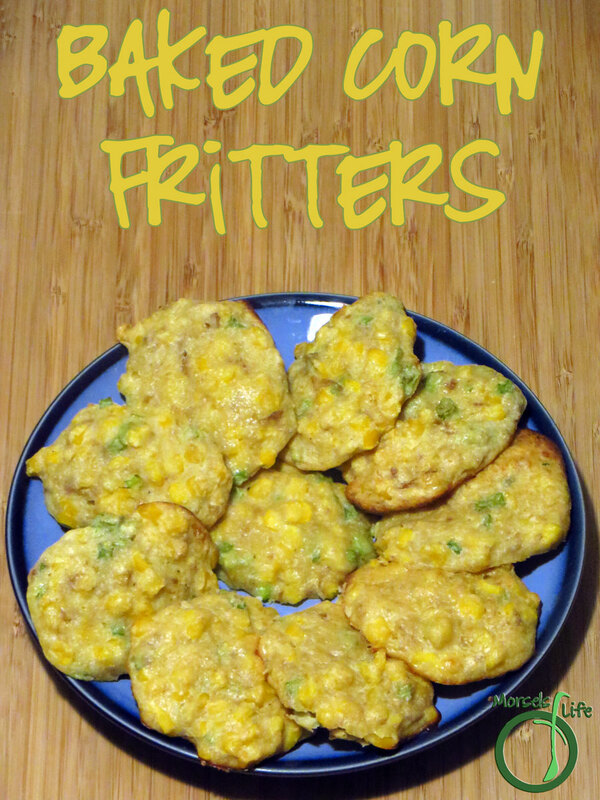 Flavorful baked corn fritters made with caramelized onions and Parmesan cheese. 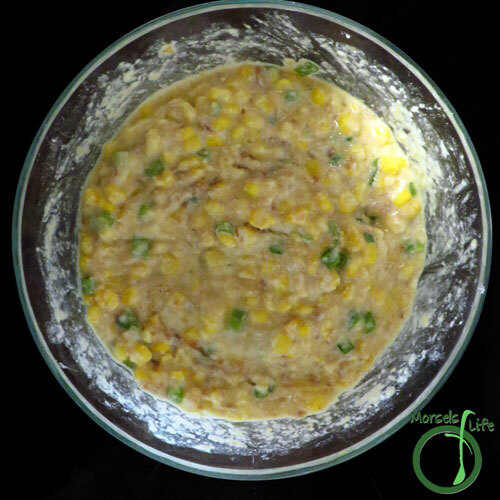 Throw in some corn meal for extra texture! 143 grams 5 ounces 11 tablespoons milk I used whole. 2. Combine milk, eggs, garlic, cheese, and onions, forming Wet Team. 3. 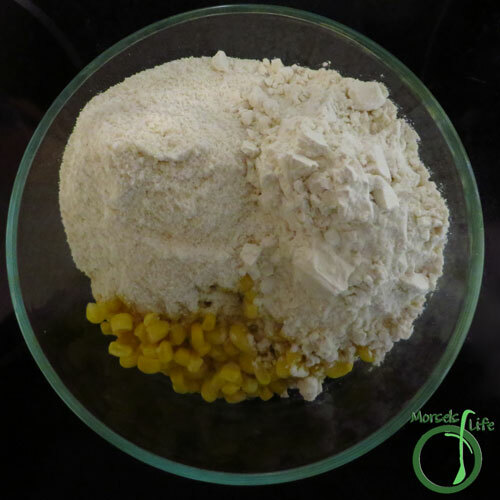 Form Dry Team by combining flours and corn. 4. Combine Wet Team and Dry Team. 5. Scoop out 2 tablespoon portions, and bake at 350F for 15 minutes. I've never made baked fritters before. 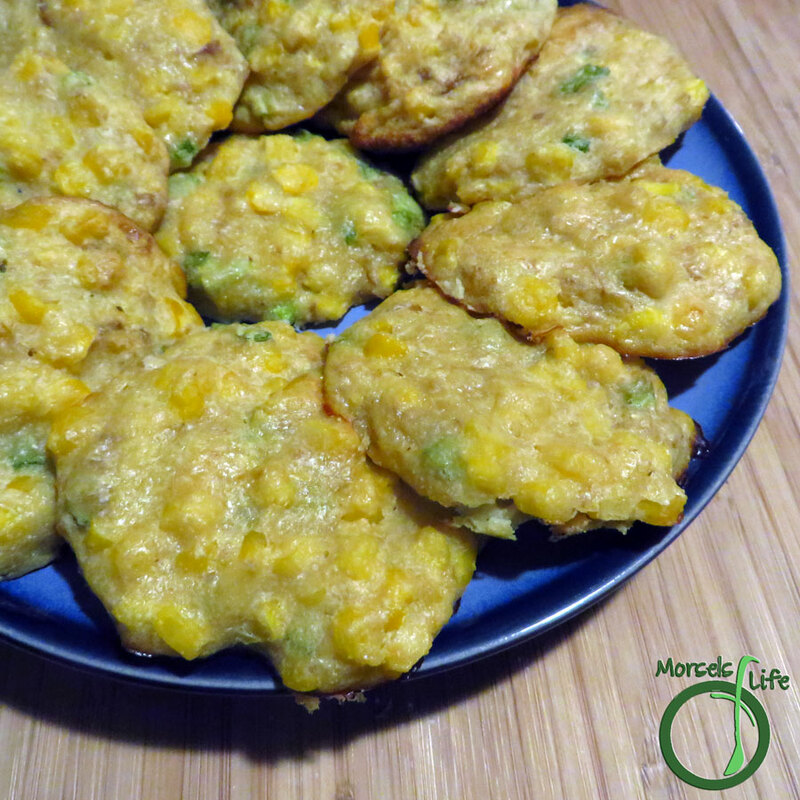 I normally fry my corn fritters so this is a variation that I would love to have a go at. These look really tasty, I've just put them on my list to make, they would be a great take along nibble for this time of year. Oh I never thought about baking corn fritters! I've only had them fried but this is a much healthier version. I've never eaten corn fritters - but you're very persuasive with the caramelized onions! YUM!! I love corn fritters, they take me back to my childhood. Visiting from SRC B! Happy Holidays! I'd never baked fritters before, and these were a great first try. :) You should definitely give them a try! No need to worry with these fritters - they're baked and pretty healthy too! We did enjoy them. :) I know I'll be making them again!